Every musical desire is always attainable with practice and guidance. Music should always be fun--if it is no longer fun you need to put away your instrument and pick it up later. My first memorable music experiences were listening to classical jazz radio with my father. I LOVED it. I did not go on to become a jazz musician, but these experiences would align me on my path to becoming a music teacher, meeting my best friends, and having so much fun! During grade school I began to play the flute and piccolo and I began private lessons with Holly Rusch-Franwick. I was timid player, but with Holly's positive influence and guidance I became more confident and left for college with my flute in hand. 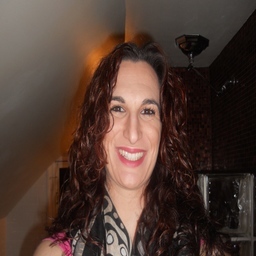 I’m currently employed as a full-time, general music teacher in the Town of Oyster Bay Pre-School Program. I also teach private instrumental music lessons to children age six thru eighteen as well as to adults. I have developed great relationships with my students and have contributed to their positive success and growth as musicians and community members. These experiences have helped me develop into a well rounded and compassionate individual, who takes each student’s unique goals, needs and interests into account. I enjoy creating engaging lessons and activities to accommodate each individual. I develop multi-sensory lesson plans to meet the needs of auditory, visual, tactile, and kinesthetic learners.